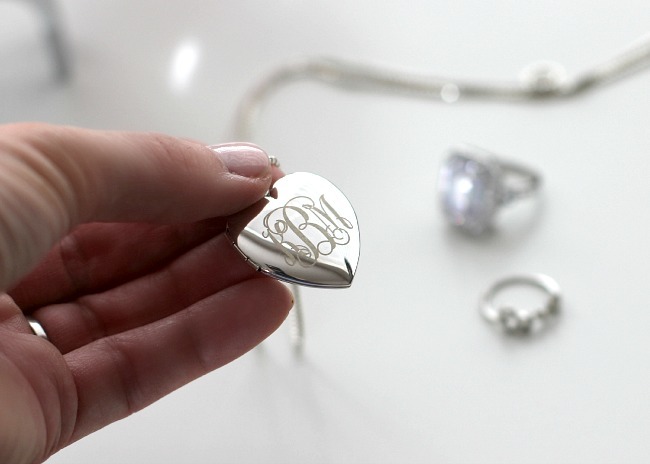 one of my favorite jewelry items is one i was gifted last Christmas which is a sterling silver locket with my initials on the front and a picture of my kids on the inside. 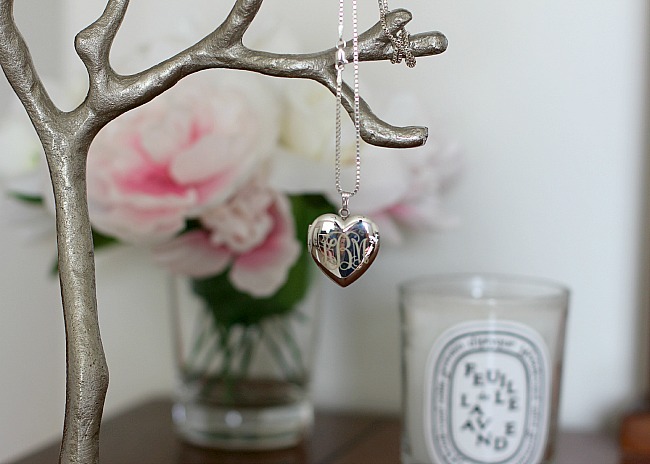 not only is it a chic piece of jewelry it has sentimental value. 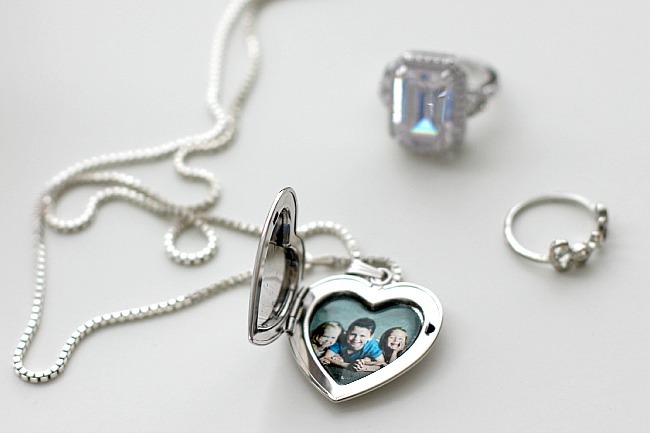 my kids love that i wear a picture of them in a locket and i love that i have them close to my heart. for this reason i am SUPER excited to be hosting a giveaway for a PicturesOnGold.com locket! PicturesOnGold.com is holding a Giveaway of a Sterling Silver 2 Photo Heart locket with a Sterling Silver 18 inch Role chain for Mother’s Day. 1 Winner from Blushing Basics will receive the Locket, with options for a Mother’s Day clip art on the front , 2 permanently engraved photos – in either color or black & white, on the left & right sides, and a message on the reverse side. The item is $170.90 + Free Shipping. Please use this link to review the process: Build Your Own Sterling Silver 2 Photo Heart Locket . It is very simple to go through. Just be sure to use the Mother’s Day Clip Art for the front of the locket, add a photo on the right, and one on the left, and write a message for the reverse side. see giveaway widget at the end of this post to see how to enter.